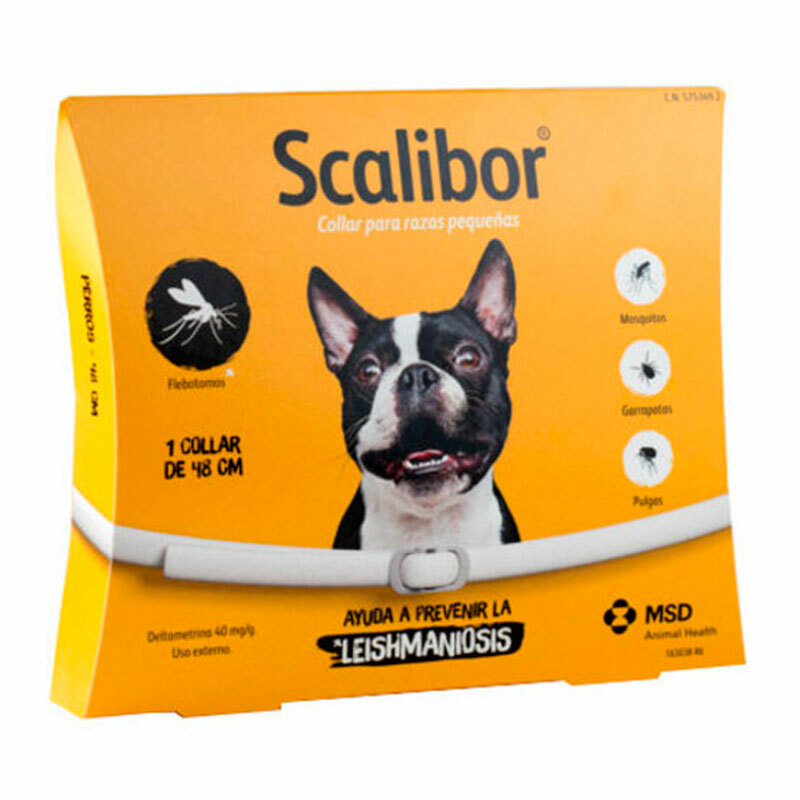 Scalibor antiparasitic collar is the first market that protects your dog from mosquitoes of the genus Phlebotomus , ticks and fleas for a period of 6 months. 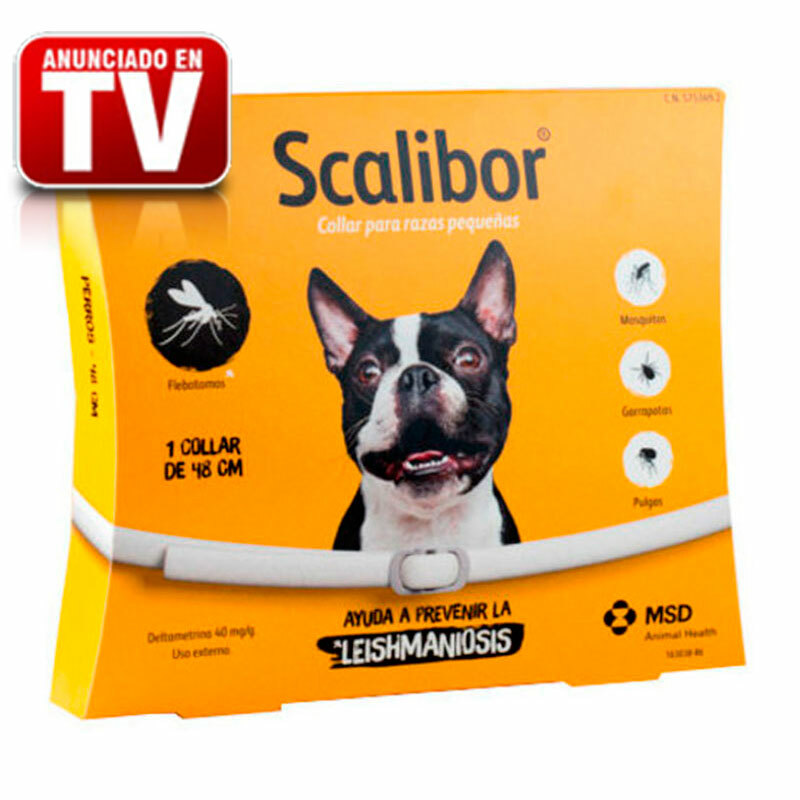 Be placed around the collar on the dog's neck begins to release the active ingredient that it has , it is distributed quickly through the skin of the dog reaching the entire body. This collar does evaporation occurs , as with the rest , so that a higher efficiency is achieved . The collar is completely waterproof, so you do not lose its effectiveness even getting wet . By not acting evaporative this product does not produce odors. In this way neither you nor your dog will notice. This is especially important in hunting dogs and all dogs that live indoors. It is recommended that a 2 fingers between collar and necklace. Before the collar should be removed dust with paper towels . Also, for greater efficiency, the collar should be cleaned with a damp cloth once a month . In some cases the collar has been allergy in some dogs , if your dog for simply remove the collar , wash the affected area and may show symptoms disappear immediately. Use of this product should be supervised by your regular veterinarian , any doubt please contact your doctor . MSD Animal Health is a global company, motivated by research, that develops, manufactures and markets a wide range of services and medicines for veterinary use. We offer a product of innovative products of the industry, products for the prevention, treatment and control of diseases in production animals and pets. Our goal is to create value and contribute to the continued success of our clients. Our most immediate goal is to gain the trust of our customers every day. Listening carefully to all our employees and putting customer satisfaction at the center of our business, we provide innovative, high-quality solutions and products and services for production animals and pets. Providing the highest standards of quality, professionalism and integrity, we want to reach the laboratory of first choice for veterinarians, producers and owners of animals.